The weed killer glyphosate, better known as Monsanto's RoundUp, is touted by the manufacturer as a perfectly harmless herbicide. 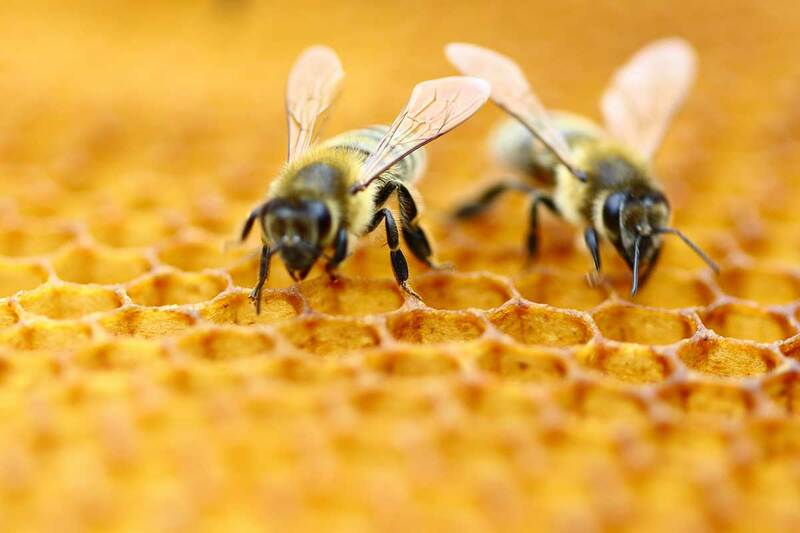 But a study led by bee experts at the University of Texas, Austin found that RoundUp leads to disruptions in the gut biome of honeybees and is responsible for the colony collapse disorder that's plagued bees for the last decade. The team, led by Nancy Moran, an expert in bee biology at the University of Texas, Austin, treated hundreds of worker bees with glyphosate at concentrations they might encounter while foraging near agricultural fields, reintroduced them into their hive, and then analyzed the gut bacteria of treated and untreated bees in the hive. After three days, the researchers found that the abundance of some of the eight predominant species fell in treated bees compared with untreated ones, suggesting that exposure to glyphosate changed the composition of the bees’ guts. When challenged with a common bee pathogen, the worker bees exposed to glyphosate died at higher rates than unexposed bees, suggesting that the bacterial shake-up made the insects more vulnerable.